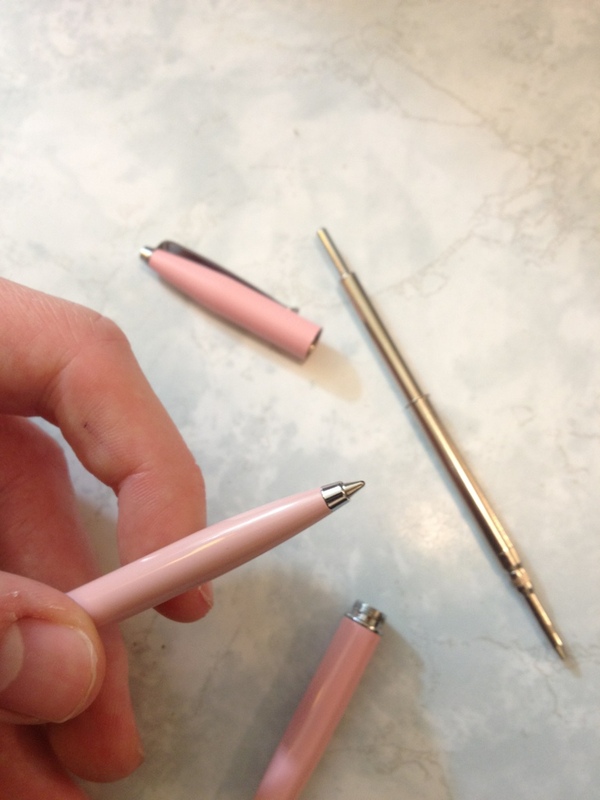 I have reviewed several Micron pens in the past. 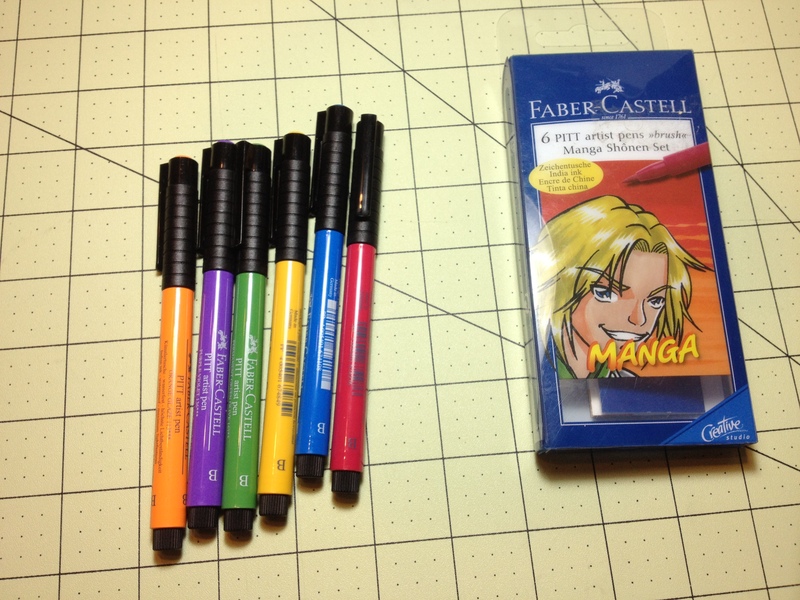 But in case you were wondering if they could add a little more color to your life, here are some Micron Colors in .05. 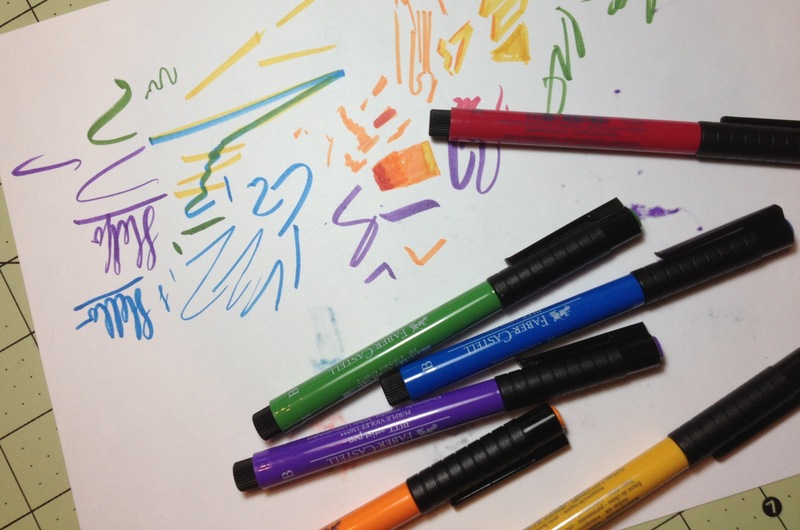 It is an eight-pen set of colors from Micron that I’m looking at. It includes black so that’s out. The first four colors I will look at are what I call the ‘standard’ colors. They are red, blue, green, and purple. I have already talked about the blue and the red so I’ll cover those quickly first. 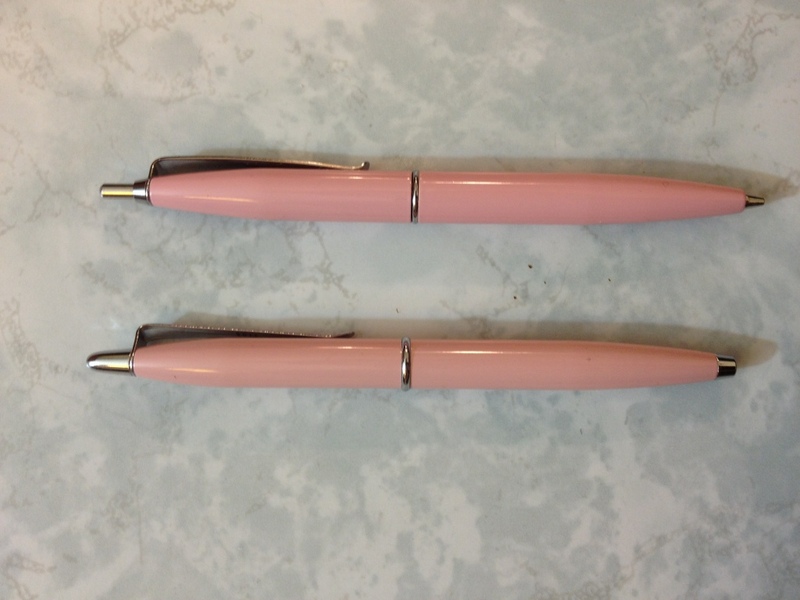 These pens are larger than the ones I reviewed previously so the ink is a bit more saturated. 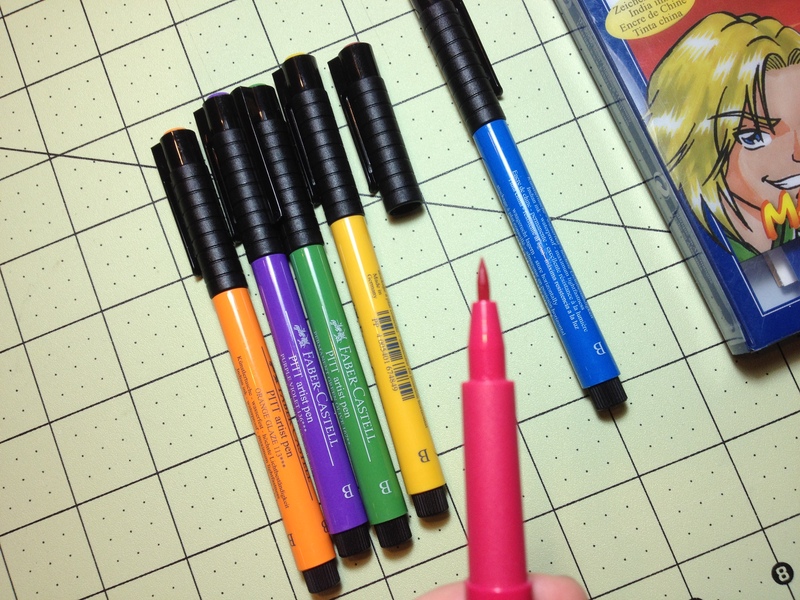 They aren’t as glaringly red and blue as before, but they are still some of the brightest and most vibrant of their colors on the market, aside from the awful nano-liner. Getting this large also makes them more prone to bleed-through, of which there is a slight hint in the blue. Next we have the purple, which, in the Micron style, is a very aggressive purple. It is very deep, and in low lighting could be mistaken for black. It is very highly saturated, and changes little to none when applying pressure for some time to just tapping it on the paper. Amazingly at this darkness it isn’t very prone to bleed-through. Finally the green. This is, surprisingly, a fairly sedate green, falling in the middle of forest and lime. It is unmistakably green, but rather unremarkable. It doesn’t jump like the other inks in this set. It just sits there, making it rather like greens in real life which you have to look closely to appreciate. Again, surprisingly enough this color is the most prone to bleed-through in the entire set, even writing fairly fast it leaves dots on the other side of fairly thin paper. So overall the ‘standard’ colors in this Micron package are great. They’re not really the best for sketches of nature or the outside world, but for labeling and organizing they are great. For example, different color parts in a schematic. 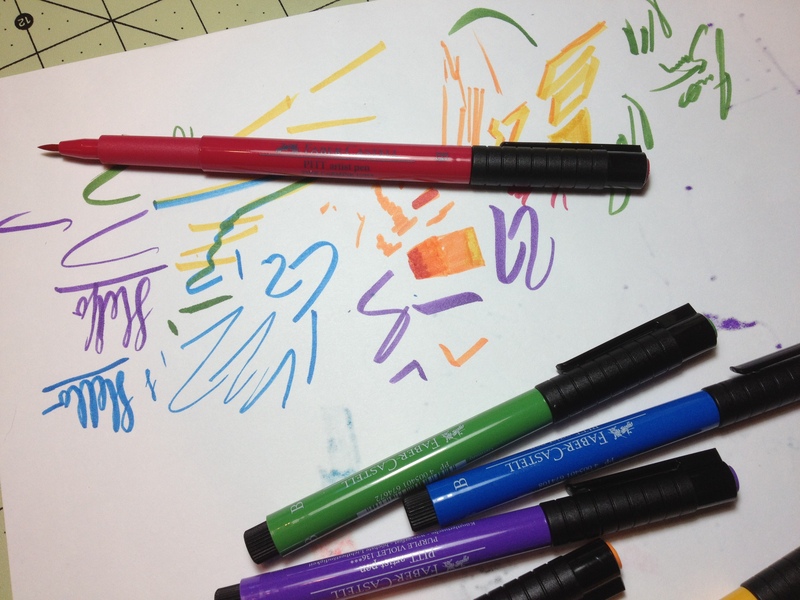 It’s nice to have colored pens around and these hold up the Micron standard. I can definitely find a use for them.